You are now in a war in the United States of America like never seen before. 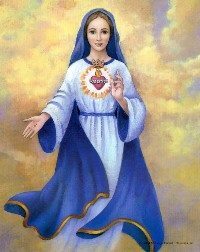 The outcome depends on the prayers of all My remnant children of the Blessed Virgin Mary’s army who will crush satan’s head. This era of time is about to end and the new era of time of Heaven and Earth will be seen very soon. Satan’s time is now over. He had the 100 years of time from 1917 through 2017 that he asked for to destroy the most Holy Catholic and Apostolic Church. Now you are moving into God the Father’s time. It is very close to the thousand years of peace talked about in Revelations. The evil people that have contaminated the world in the last hundred years have to be brought to justice for all their crimes. I will still take them back if they come to their God on bended knee and repent. If not, they will spend all eternity in hell or in deep Purgatory for many years before they can go to Heaven.